This is one of those words that are very, very specific but sometimes just the thing you need. For example, in April-May I usually get very dagvill because there are so many red days and long weekends that end up messing up my day job schedule. 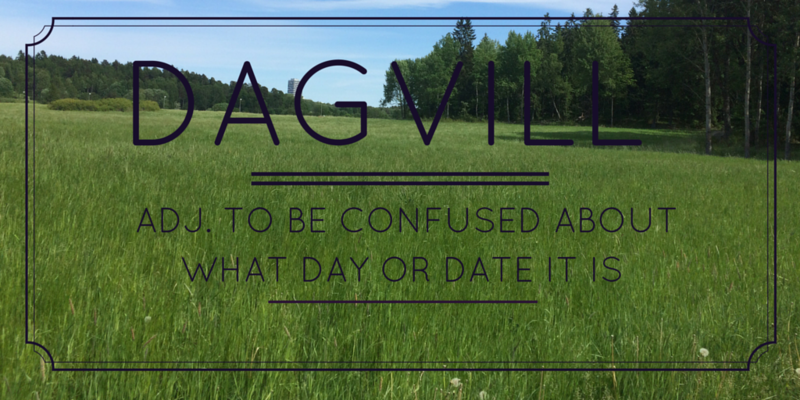 Dag means day and I think that the -vill part is related to vilse which means lost (as in having lost your way, not as in being misplaced). A similar, older, word is veckovill. I used to think that meant being confused about what week it was, but apparently it means being confused about what day of the week it is so they’re synonyms. The more you know!